Do you play a wind or percussion instrument? Second Wind is a mixed ability band and welcomes competent players. 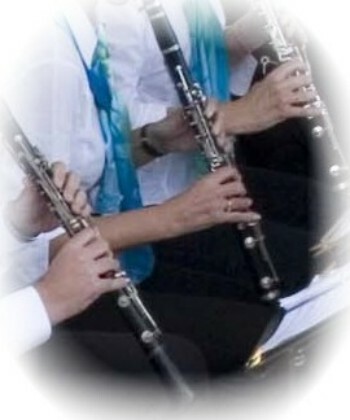 The above are the most needed categories, but we also welcome enquiries from all wind and percussion players. If you are interested in finding out more please get in touch with our Music Director, Martin Forward. A prospective new member will be invited to join in a few rehearsals after which the Musical Director and Committee will decide whether to invite him or her to join the band. Members pay an annual subscription, currently £75 (£50 for students). The band normally aims to perform at up to 10 public engagements in the south east throughout the year, mostly in the summer months. As well as being important musically, these performances contribute to the funding for new music. The engagements are usually at weekends and members are encouraged to make themselves available for as many as possible, especially for the formal concerts for which special programmes are prepared. One of the highlights of the band's musical and social life in recent years has been a springtime or summer tour over a long weekend to a city or town in the UK or across the Channel, normally within a few hours' drive from our homes in Kent and Sussex. Scenes from many happy trips can be viewed on our photo album pages. We hold a band dinner every year, usually in late winter or early spring, at which we often enjoy a "members' cabaret" of alternative talents in light-hearted songs and sketches. We also have a longstanding tradition of summer barbecues at members' homes following afternoon gigs.